As I write this Layla is on her playmat enjoying a little tummy time but it got me thinking does everyone do this with their babies, is it a necessary thing?? I'm not really sure to be honest, it is just something I have done with all of my children and I couldn't really tell you why I've done it either, maybe half because of what I've read in books/ on the internet whilst pregnant. I just see so many people commenting about it, how if you don't do it it can delay certain skills that you child will develop etc. It just seems like another one of these things that us mums get pressured into doing and if we don't do it we are considered bad mothers. What about those poor babies that really hate to be on their tummies?? 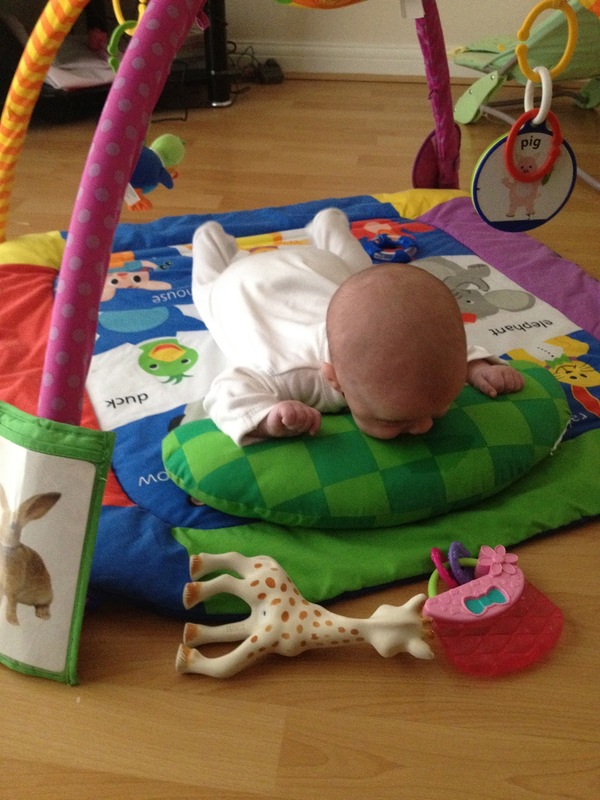 So do you do tummy time with your babies?? If you haven't do you think it has affected the way they have developed?? Genuinely interested. All of mine have been very early doing everything, little miss independents but I don't know whether this is because of anything I have done or whether this is just the way they are made.